This budget-friendly inn at the heart of Lisbon's Pombaline old town has great service and a good standard of accommodation for its price category. 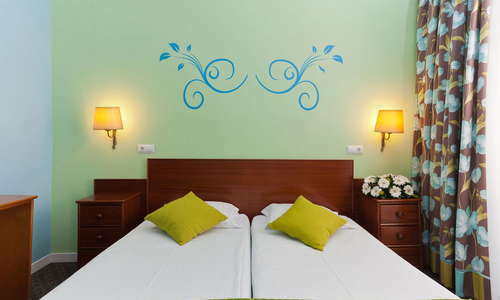 The simple guest house is close to Rossio and Restauradores squares, and within walking distance of Lisbon's main shopping, sightseeing and nightlife destinations. Public transport links are good and, though small, rooms are nicely appointed. A generous breakfast with plenty of fresh Portuguese pastries provides fuel for traversing Lisbon's hilly streets on foot. The building is not luxurious but has a simple charm, with lots of blue and white azulejo tiles. There's a good on-site restaurant, as well as a shop selling gourmet goodies. Bring comfortable shoes--many of Lisbon's tourist attractions are within walking distance, but sightseeing on foot involves a lot of hills. 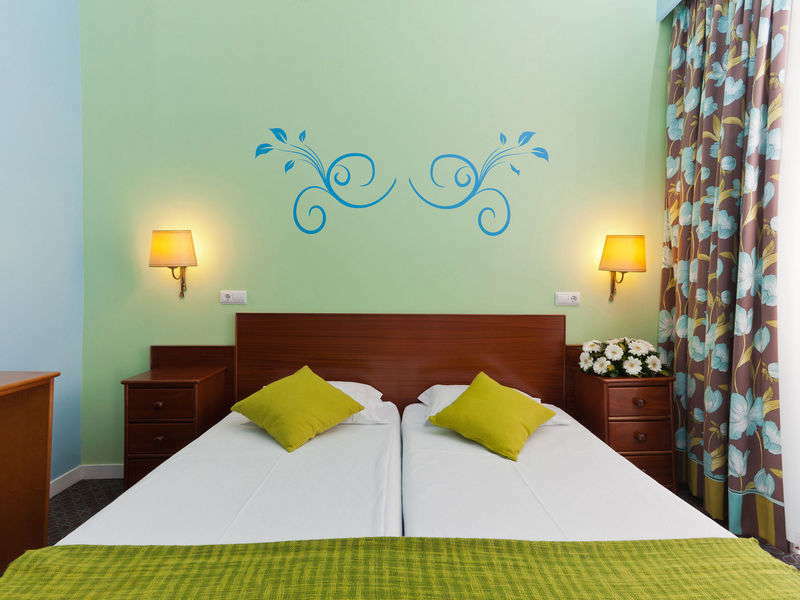 Rooms are small but thoughtfully decorated, with lots of colorful detail--some walls are brightly painted and feature small murals, others have cheery paintings--and have French windows looking out onto the busy streets below. There's free in-room Wi-Fi, cable TV, and air conditioning, and some superior rooms have a small alcove with sofa, which serves as a cozy living room. YOU SHOULD KNOW Guests should expect some street noise, especially on weekends and during major festivities. 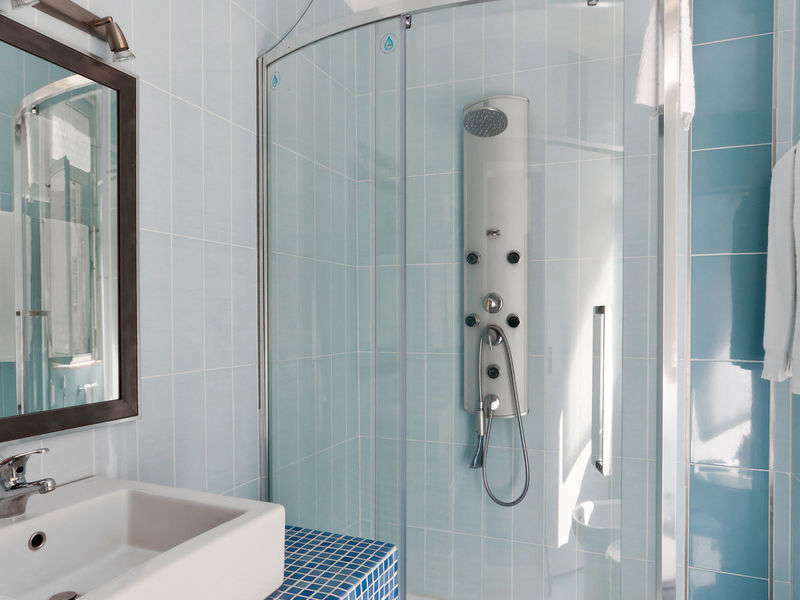 The bathrooms are modern, with colorful tiling and hairdryers. 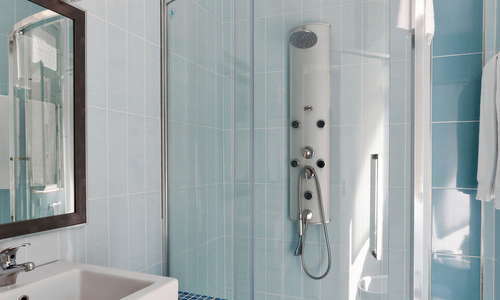 Some rooms have tubs and others have standalone shower cubicles. Service at the 24-hour reception is extremely friendly, and the lobby is filled with comfy arm chairs and sofas, lots of traditional tiling, and colorful framed paintings. There's an elevator for those who don't fancy taking the stairs. The hotel's on-site restaurant, Perola, was revamped in 2017, and is now a slick space for enjoying meals from the seafood-focused menu. Grilled fish dishes are very good. Exposed stone walls and bright, modern decor make it a pleasant space for a meal or drinks from the bar. The restaurant is open to non-guests, and attracts quite a lot of passing trade from sightseers. A small on-site shop next to the restaurant sells typical Portuguese ingredients such as cured meats, tinned fish, and cheeses. The fish and seafood here are very fairly-priced for this central part of town. The restaurant doubles as a lounge-bar, serving a good range of cocktails and wines to guests and passers-by alike. It's not super-trendy, but prices are fair for this part of town. Airport shuttle buses stop at nearby Rossio square, and Lisbon's famous yellow trams rattle along the streets nearby, allowing visitors to see the sights without exerting too much energy. 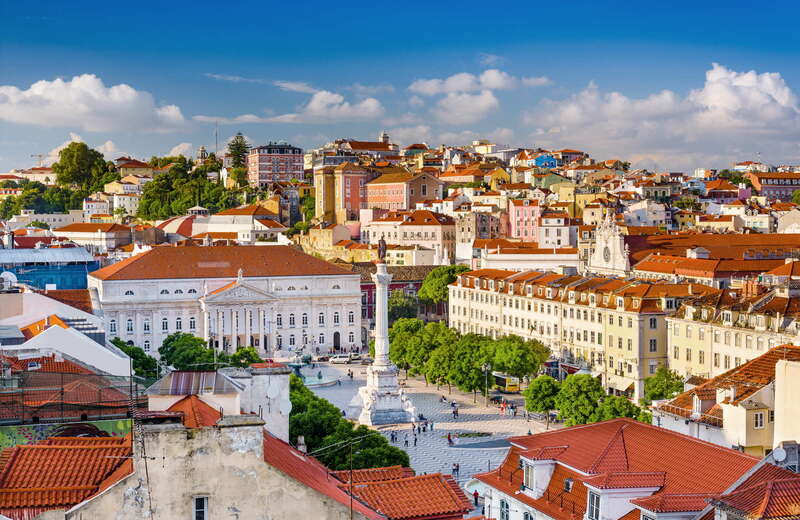 Restauradores and Rossio Metro stations are a couple of minutes' walk from the hotel, and the grand Rossio train station, the starting point for Sintra and Queluz, is a five-minute stroll. Much of the area can be seen on foot, and indeed strolling the streets of the historic center is one of the most enjoyable ways to see Lisbon. There are plenty of sidewalk restaurants on the streets and squares surrounding the hotel, but it's worth taking the walk to Bistro 100 Maneiras (10-minute walk), where Ljubomir Stanisic, dubbed the "Most Portuguese Yugoslav chef ever," has created a unique menu in a hip, late-opening space that attracts a stylish and young crowd. For excellent seafood, including delicious tuna steaks, try Sea Me (15-minute walk) in Chiado, which is always busy (and for good reason) with a mixed age, mixed nationality crowd. For great cocktails, try O Insolito (10-minute walk), one of Lisbon's quirkiest bars, where young creative types ride an antique elevator up to a terrace bar with wonderful views over the city. There are more sweeping vistas at Entretanto (10-minute walk). This rooftop hotel bar has great cocktails and is a great place for sipping a drink at sunset. A central location, excellent service and thoughtful decor make this one of the best mid-range stays in Lisbon's historic downtown. Sights, shopping and nightlife are all within walking distance, and there are excellent transport links for farther-flung locations. The hotel restaurant serves great seafood, and staff are happy to recommend other eateries and nightlife hangouts in the area, too.